Powerpoint: A child's story, Irene's Day - same or different? 1. What is Purple Cake Day? Purple Cake Day is a charity event run by the Kenbe La Foundation Charitable Trust, a New Zealand Registered Trust. (no CC44756). We support children to get the education they need to break the poverty cycle and create a better future for themselves, their families, and their communities. The Kenbe La Foundation Charitable Trust and Purple Cake Day were founded by New Zealander and humanitarian Emily Sanson-Rejouis, following the loss of her husband Emmanuel (39) and daughters, Kofie-Jade (5) and Zenzie (3), in the Haiti Earthquake in January 2010. You can read more about Purple Cake Day on our Home page, About us and Who we help. 2. Why the Purple Cake symbol? The theme is inspired by Kofie’s thoughtfulness towards street kids and Zenzie who wanted not one, but two purple cakes for her 4th birthday. The purple cake has become a symbol for creativity and celebration, motivating kids to literally bake thousands of purple cupcakes around the world, but also to fundraise doing other things they love. If you can think of an idea that inspires you, then go for it. 3. When is the Purple Cake Day Global Day of Action? In 2016, the Purple Cake Day Global Day of Action kickstarted our year on Friday 18 March. Many people around the world held their fundraising events on this day. You can choose any day to celebrate and get involved if that suits you better! 4. How do I keep updated on PCD news and events? Join us online to keep up with Purple Cake Day news and events! 5. Who is Purple Cake Day helping in 2019? Purple Cake Day is continuing to support the wonderful Children of Haiti Project. 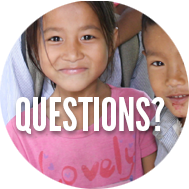 Please refer to our webpage for more information on Who we help. 6. How do I fundraise for Purple Cake Day? Purple Cake Day 2015 'kicks off' with the Global Day of Action on Friday 20 March 2015, although activities can be held anytime of that year that suits. Think of a way to fundraise – you could organize a gold coin purple themed day at your school or workplace, bake and sell purple cupcakes, get sponsored to run 5km, hold a garage sale, host a screening of the feature film ‘A Small Act’, hold a purple disco, a purple Zumba party - the sky is the limit! 7. Can I start an online fundraising page like Give A Little? Fundraising through an online page is a a great way to share your fundraising event with friends and family. In New Zealand we recommend 'Give A Little', the crowdfunding website with zero fees sponsored by Spark. Purple Cake Day fundraising campaign events in New Zealand have been promoted through Give A Little. You can donate directly through our page here or set up your own page. 8. How do I send funds I raised, or donate directly, to Purple Cake Day? You can donate by credit card or Paypal online in multiple currencies, by visiting our secure online donate page. 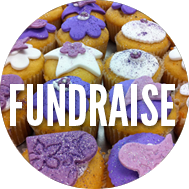 Funds raised through Purple Cake Day activities may also be deposited by posting a cheque or by direct deposit. You can download and print the bank transfer form here. You can also sign up to be a Friend of Purple Cake Day and make regular donations – please contact us via donate@purplecakeday.org for more information. Receipts will be issued. New Zealand resident donors may qualify for a tax rebate on donations over NZD$5.00. 9. What does it mean to be a Purple Cake Day Ambassador? There are many ways to be an Ambassador for Purple Cake Day, and for the things that Purple Cake Day stands for. How much you do is up to you – just know that your time and your enthusiasm are worth gold to children in need around the world – so spread the purple word as much as possible! Being a Purple Cake Day Ambassador means being a champion for the Purple Cake cause – raising funds to provide education to children in need. You know that your support is enabling children to get the education they need to create a better future for themselves, their families, and their communities. If you, or someone you know, is going to the extra mile for Purple Cake day – let the Purple Cake Day Team know! We would love to hear from you. Email celebrate@purplecakeday.org. 10. What can I, my friends and my family do to be part of Purple Cake Day? 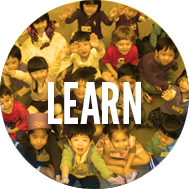 Take a look at our Get Involved page which has lots of inspiration and ideas. 11. Where else can I find Purple Cake Day online? 12. Who are the Purple Cake Day Team? Find out all about the Purple Cake Day founder and team at About us. 13. Tell me more about the history of Purple Cake Day? Purple Cake Day was founded by New Zealander and humanitarian aid worker Emily Sanson-Rejouis, following the loss of her husband Emmanuel (39) and daughters, Kofie-Jade (5) and Zenzie (3), in the Haiti Earthquake in January 2010. The theme is inspired by Kofie’s thoughtfulness towards street kids and Zenzie who wanted not one, but two purple cakes for her 4th birthday. The earthquake struck a week before Zenzie turned four. Miraculously their third child, Alyahna (1), was rescued after 22 hours under the rubble. Out of this tragedy and in tribute to her family, Emily founded Purple Cake Day launching an important global movement to celebrate and connect children around the world and provide hope and opportunities for children in need. Launching for the first time in Nelson New Zealand in 2010/11, the Purple Cake Day campaign had wide reaching impact within a very short space of time. Whilst Haiti and its children were originally the focus for 2011, one week before the launch there was a devastating earthquake only a few hours away in Christchurch. Purple Cake Day supporters were asked to double their efforts and reach out to children in need there too. 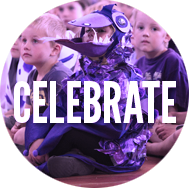 On the 1st of March, purple themed celebrations by and for children were held across schools and communities in over 10 locations worldwide, including; New Zealand, Nigeria, Burundi, The Congo, United Kingdom, Belgium, Singapore, Japan, Australia, USA and Haiti. Thousands of children dressed in purple, sang, danced, wrote messages of hope, and created artwork to express themselves and their wishes for children in need. Overall, just over $30,000 dollars was collected through small fundraising activities; run mainly by children. This money was used equally to support children in Haiti to have educational opportunities, and on psychosocial programs for children affected by the earthquake in Christchurch. The second Purple Cake Day event in March 2012 raised over $80,000 for children’s projects in Haiti and the country in focus, Nepal. The Purple Cake Day Resource Kit was downloaded over 1,000 times in over twenty countries. And from these beginnings, Purple Cake Day has grown to become an important celebration, education and fundraising campaign engaging children and adults in many parts of the world. 14. Where did the funds raised in 2018 go? Purple Cake Day 2018 allocated funds to three charitable organisations, our partner projects for education in Kenya, Haiti and Nepal (see Home page for results). You can read about these organisations and how they used their Purple Cake Day donations at Who we help. 15. What international support is there for Purple Cake Day? Purple Cake Day is proud to have supporters all over the world. Since it started in 2011, children in at least 24 countries have participated in the Purple Cake Day Global Day of Action, including New Zealand, Australia, Burundi, Cambodia, Canada, Dubai, France, Haiti, Hong Kong, Italy, Ivory Coast, Japan, Myanmar/Burma, Nepal, Scotland, the UK, and the US. If you'd like to celebrate Purple Cake Day in your country, we'd love you to join us. Send us an email to let us know what you are doing to go purple and fundraise, sign up for our e-news and follow us on Facebook and Twitter. 16. How does Purple Cake Day relate to Children's Day in New Zealand? Children’s Day in New Zealand is an initiative of the Children’s Commission and is held on the first Sunday in March each year. Purple Cake Day and Children's Day are not the same thing, however they share a similar aim of celebrating children. 17. How do I see the film 'A Small Act'? This award-winning documentary is a moving exploration of the education system in Kenya, of children trying to educate themselves out of poverty, and the founding of our Project Partner - the Hilde Back Education Fund (HBEF). We are looking for enthusiastic volunteers to screen A Small Act around the country. You could do this in your community, at home, at the office or at school. The film is suitable for secondary-age school students upwards. If this sounds like you, please contact admin@purplecakeday.org to find out more. Sign up to receive Purple Cake Day e-news here and read what's been happening recently in our e-news archive below.